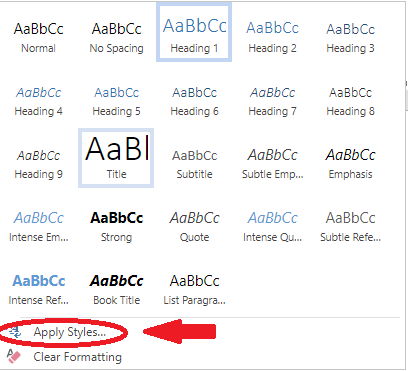 to personalize and design your Word documents while using recommended styles such as Heading 1, Heading 2 and others. to globally modify content by changing one Style setting. This includes modifications needed for a low vision student or a student with other reading/visual processing issues. Note: The instructions below are mainly based on Office 2013 for Windows. But, with very minor modifications, they can be used for Office 2016 for Mac and Office 2010 for Windows as well. 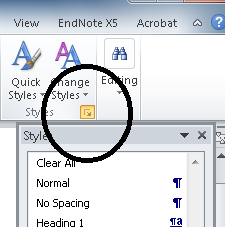 Open the Styles Pane. Windows Key commands: Alt+H,F,Y,F6. 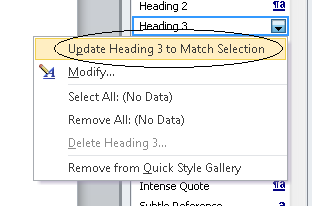 Then right click on the desired Heading style you wish that text to resemble and select “Update Heading to Match Selection.” This will modify all the headings for this document. Some tools can be accessed by expanding the Styles tab and clicking Apply Styles. 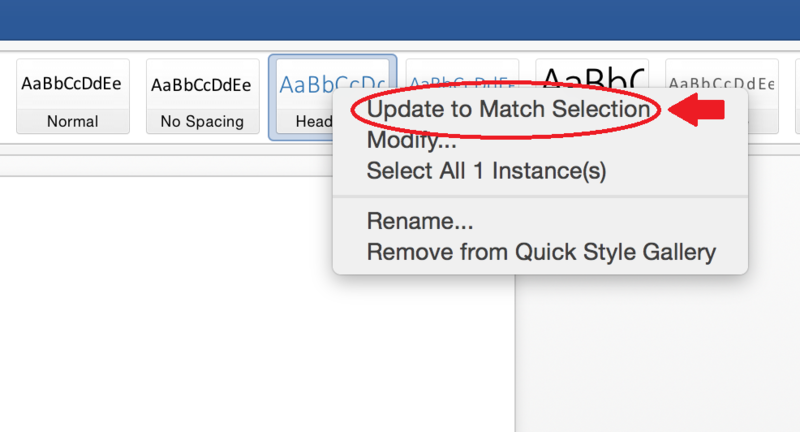 However, some options are not present in this version, so you might have to open your file in a desktop version of Word by clicking Edit in Word.